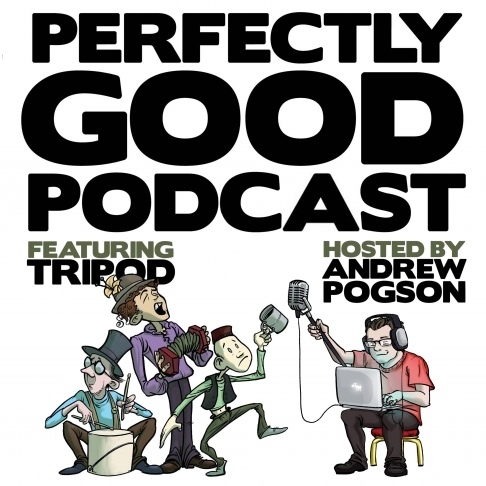 Join the perfectly good gentlemen of musical comedy trio, Tripod and host Andrew Pogson as they discuss all things orchestral with MSO’s Associate Conductor, Benjamin Northey, alongside some special MSO guests for a live edition of their Perfectly Good Podcast. In the 20 plus years since they first appeared on the Melbourne live pub scene, Tripod – Scod (Scott Edgar), Yon (Simon Hall) and Gatesy (Steven Gates) – have delighted audiences from comedy clubs to symphonic concert halls and everything in between. They have created narrative musicals for the stage, as well as for children’s cartoons, picking up multiple awards and through their constant work on television and radio, and more recently, their popular podcast. Tripod bring the Perfectly Good Podcast to Hamer Hall’s Stalls Foyer for a special Adults Only live episode recording on Tuesday, 29 May. Fresh from their MSO vs. Tripod performance earlier in the evening, expect musical banter, three part harmonies, stories, jokes and much more.